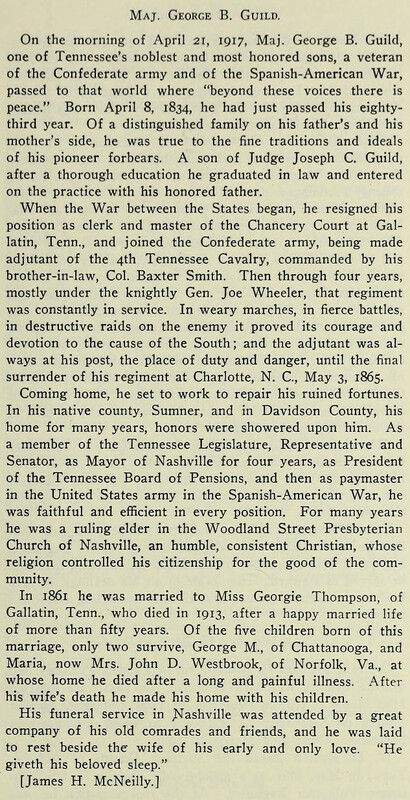 Obituary of George B. Guild, Nashville, Tennessee. SOURCE: Confederate Veteran Magazine, July, 1917.